IELTS is the International Language Testing System, is designed to assess the language ability of candidates who need to study or work where English is the language of communication. IELTS is jointly managed by University of Cambridge ESOL Examinations (Cambridge ESOL). British Council and IDP: IELTS Australia. IELTS confirms to the highest international standards of language assessment. 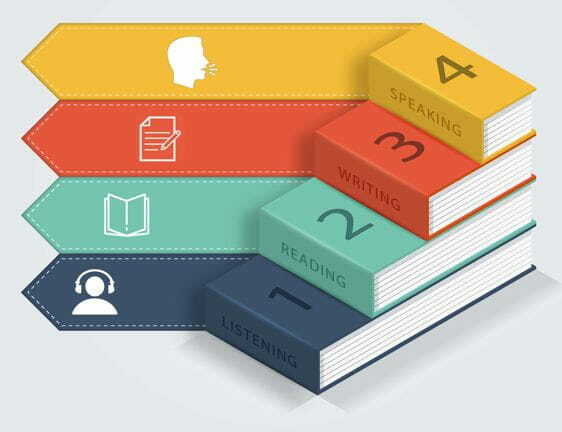 It covers the four language skills listening, reading, writing and speaking. IELTS is recognized by universities and employers in many countries, including Australia, Canada, New Zealand, the UK and the USA. I also recognized by professional bodies, immigration authorities and other government agencies. IELTS is not recommended for candidates under the age of 16. IELTS tests are administered at centres throughout the world- there are more than 300 centres, in over 100 countries. A full list of centres is available on the IELTS website: www.IELTS.org. Most centres conduct a testing session at least once a month and more often at peak times. Please contact the relevant centre for exact test dates. Results will produce 13 days after the test. At some centres candidates may collect their results on the 13th day, at others results are mailed on the 13th day. The candidate will only receive one copy of their test results and replacement copies will not be provided. Additional copies can be sent direct to receiving organizations and institutions by test centres. 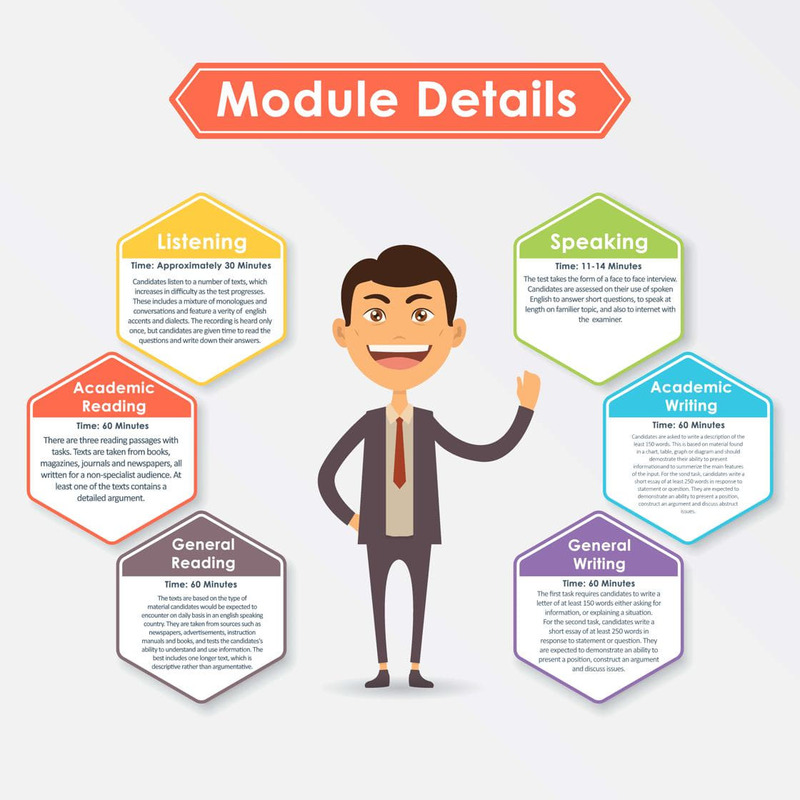 The academic modules assess whether a candidate is ready to study or train in the medium of English at an undergraduate and postgraduate level. Admission to undergraduate or postgraduate level courses should be based on the results of these modules. The general training modules emphasis basic survival skills in a broad social and educational context. General Training is suitable for candidates who are going to English speaking countries to complete their secondary education, to undertake work experience or training programmes not at degree level, or for immigration purposes to Australia, Canada and New Zealand. The general training module is not offered at all test administrations.